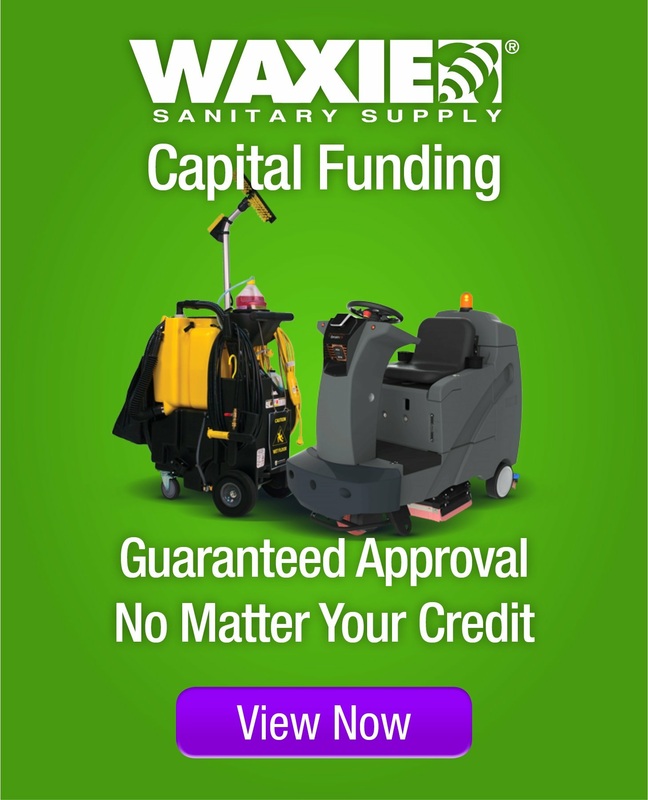 Sewage collection and treatment is the process of collecting and removing contaminants from waste water and household sewage, both runoff (effluents), domestic, commercial and institutional. It includes physical, chemical, and biological processes to remove physical, chemical and biological contaminants. The objective is to produce an environmentally safe fluid waste stream (or treated effluent) and a solid waste (or treated sludge) suitable for disposal or reuse (usually as farm fertilizer). Microorganisms play a vital role in both sewage treatment and maintenance of the collection system. 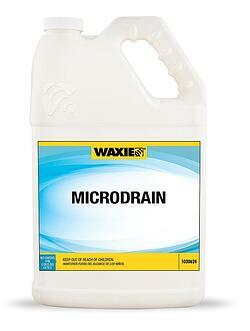 WAXIE MicroDrain Cleaner is a highly concentrated consortium of microbes concentrated to 1.3 trillion units per gallon. Reduces or eliminates Hydrogen Sulfide production. Fragrance free. Dilution based on application. 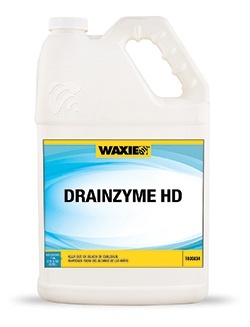 WAXIE Drainzyme HD Drain Maintainer is a liquid drain maintainer designed to keep household, office and general purpose drain lines free flowing and odor free. Contains seven strains of beneficial microbes concentrated to 220 billion units per gallon. Fragrance free. Dilution based on application. This easy-to-use system stores up to 20 dispensing events per day, programmable by day, minutes or seconds. With the addition of the Misting Kit, Pro-Watch becomes an advanced chemical spray system designed to spray deodorizing or sanitizing mist in a variety of applications such as trash compactors, roll-a-way garbage bins and other trash depositories.